Australia is waking up to the exciting world of data. But the data space is a confused mess. 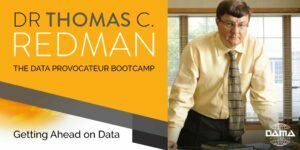 Bring your boss to this 2.5 hour companion session to the Data Provocateur Boot Camp. 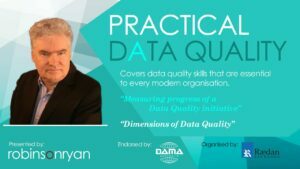 We’ll explore putting data to work, what it means to manage data assets, and the tough organisational choices needed. 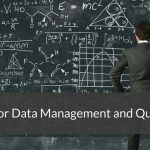 Robison Ryan’s one-day Data Management Workshops provide the starting point for any one working in or with data. The courses are based in the International best practice guide DAMA DMBOK applicable to every organisation. As an tangible business asset – data can inform business strategy and achieve your objectives by helping identify and take opportunities that you may not have seen before – your data has a tangible value that can be realised. 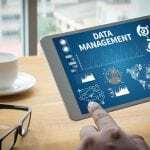 In reverse, without investment in resources and knowledge, poor quality data and ineffective data management, can leave you vulnerable to risky decisions and waste. 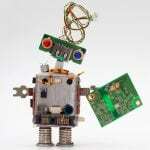 To derive the value, your existing data and future needs must be explored within the context of your business. Anyone producing and using data well, understand that data analysis is a means of representing or estimating meaning, and that the output of “analytics” is not indisputable fact. Understanding the technical and non-technical nuances of data, how its elements have been managed and defined leads to high quality data, and that translates to an ability to deliver trusted insights and reports for leaders on which to rely. We analyse data is to understand it in its context and to highlight insights. 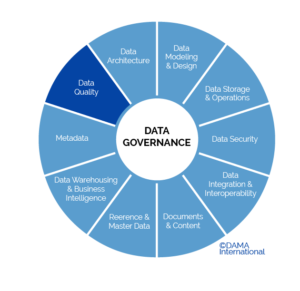 In 2017, practically all businesses have data that needs to be managed by a framework of operational, tactical and strategic activities. As data and metadata increases exponentially and becomes more readily available, investing at any level in an enterprise or in yourself as a skilled professional, is a smart move. It can ensure that you and your business is ready to leverage valuable business asset.